HOME PRODUCTS &AMP; SERVICES DIRECTORY OF SUPPLIERS GEEPLUS INC.
Geeplus is a worldwide specialist in the design and manufacture of both standard and customized electric actuators. These advanced actuation devices—including linear actuators (i.e. push-pull solenoids, tubular solenoids, open frame solenoids, proportional solenoids, voice coils, etc. 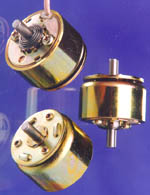 ), rotary actuators (i.e. 3-ball rotary solenoids, bi-stable rotary solenoids), electromagnets, stepper motors, etc—control/stimulate movement in a wide range of advanced applications. Working closely with our customers to solve complex motion control problems with advanced actuators, efficiently and cost-effectively, is our specialty! Creating a custom actuator is a partnership. We’ll work closely with your engineers to understand your unique needs in order to produce the highest quality linear actuator, rotary actuator, electromagnet, or other actuation device at the lowest price possible. Combining our deeply collaborative approach and state-of-the-art in-house manufacturing and testing facilities located in both the UK and Japan, we’re able to attack advanced motion control problems with cost-effective world class solutions. 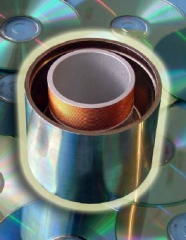 In fact, we invite all of our customers to come witness our manufacturing process first hand, if desired. Hundreds of companies worldwide have chosen Geeplus to provide solutions to advanced motion control problems in industries ranging from medical, security, transportation, aviation, and agriculture to specialized machinery such as vending machines, cash and coin handling/sorting, elevators, thermal imaging, light metering, textile machinery, measurement instrumentation, and even vibration actuation in the form of a tattoo gun and high-end massage equipment. 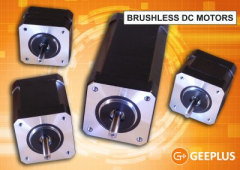 In other words, the Geeplus team of accomplished, professional engineers can design a custom actuator—whether that’s a linear actuator, a rotary actuator, electromagnet, stepper motor or other electromagnetic actuator—for virtually any application. You tell us your actuation needs and we’ll work together to design a high-quality customized actuation solution that will meet or exceed your expectations! We are certified to ISO-9001. Actuators, Solenoids (Linear Solenoids, Rotary Solenoids), Voice Coil Actuators, Electromagnets, Hybrid Stepper Motors and More! View More Product Announcements from GEEPLUS Inc.